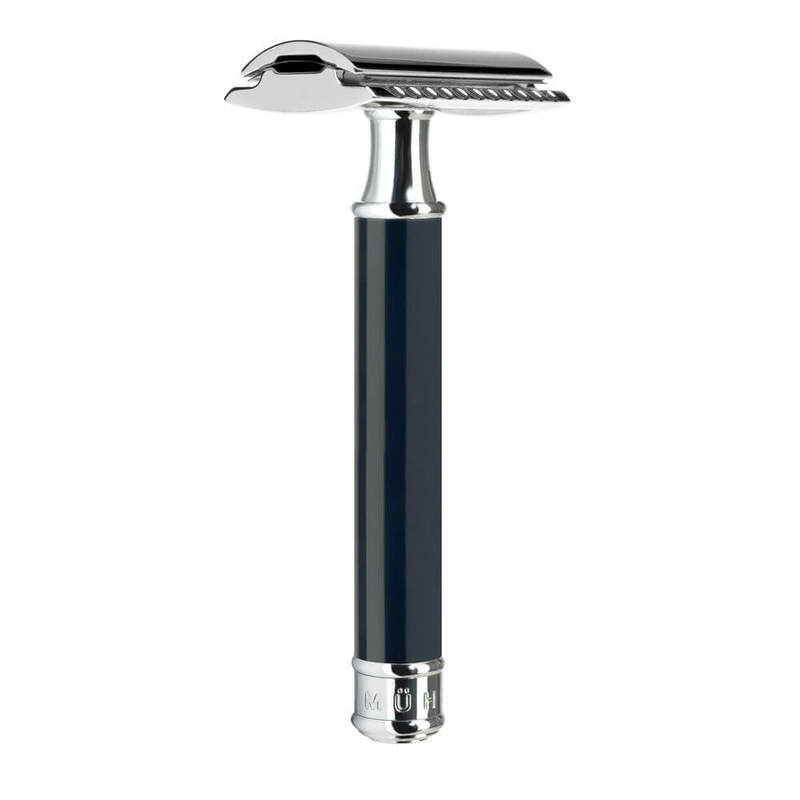 TRADITIONAL – Safety razor from MÜHLE, closed comb, handle material high-grade resin black . The Muhle R106 Black razor is made of a High-grade resin, is a high-quality synthetic material, the surface of which is processed and refined separately. The material is ideal for exclusive accessories and writing implements because it facilitates a broad spectrum of modern and classical designs in many attractive colours. The Muhle R106 Black razor is the perfect partner to The Black Kosmo Silvertip Fibre Shaving brush. For generations, the the Muhle R106 black razor has been regarded as a stylish classic which can even shave edges with precision. For many, it is the razor par excellence. Its styling is ideally suited to the design of the MÜHLE products.